Just poppin’ in for this week’s year of Wooden challenge! January: Drink deeply from good books. February: Make friendship a fine art. April: Build a shelter against a rainy day (financially). May: Be true to yourself. June: Give thanks for your blessings every day. September: Drink deeply from good poetry. Back in January, we began this year-long challenge with the first item from Coach Wooden’s 7-Point Creed: Drink deeply from good books. 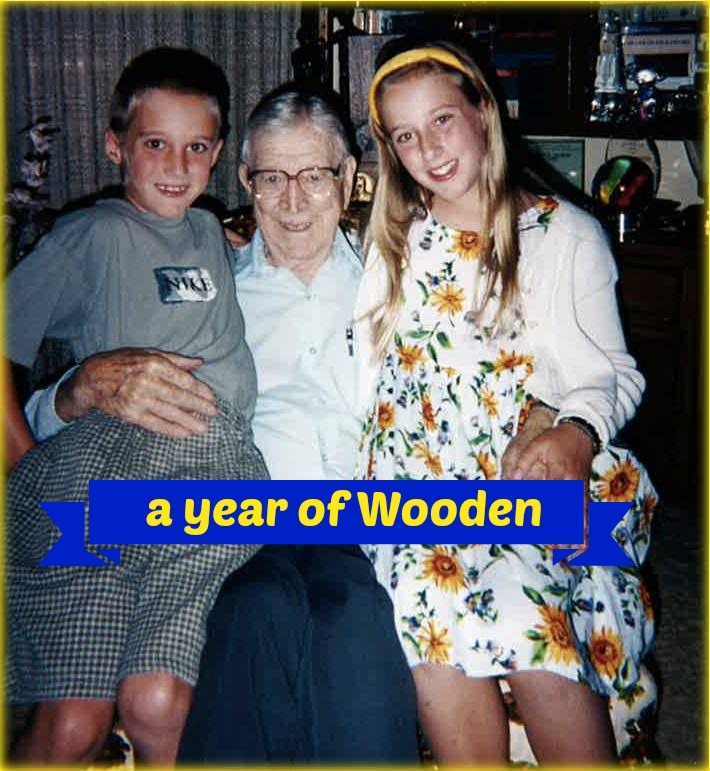 Now, in September, we are focusing on poetry because Coach Wooden had a deep love for poetry. 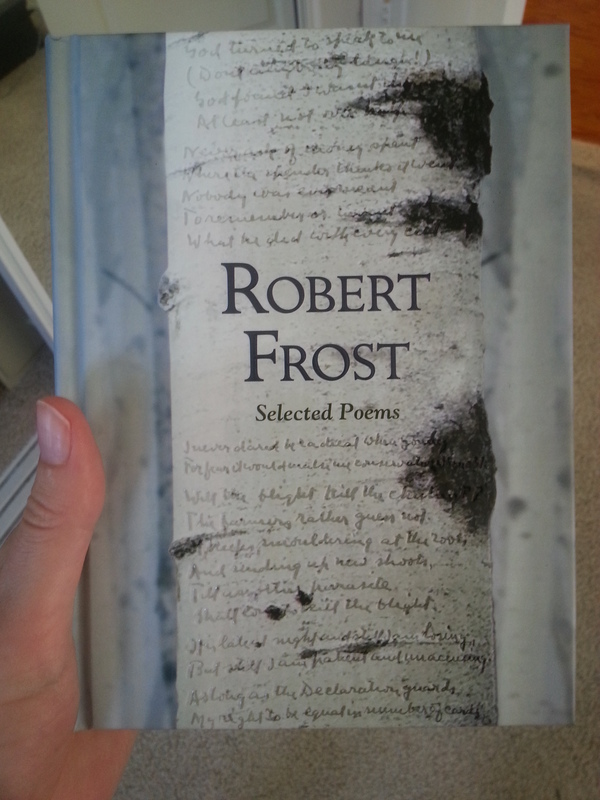 Last week’s challenge was to read Selected Poems of Robert Frost. The poem’s themes of transition and the poignancy of change — echoing another poem of Frost’s I love, “Nothing gold can stay” — are a gentle reminder to enjoy the beauties and fruits of each season as they last. The brook in the poem has dried up; it is no longer a beautiful brook filled with water. Yet the speaker in the poem can remember it clearly when it had “song and speed,” and still loves the brook even though it is now nothing but “dead leaves stuck together by the heat.” I really love the ending line, which makes me think of a love that endures and sees beneath the shallow surface. 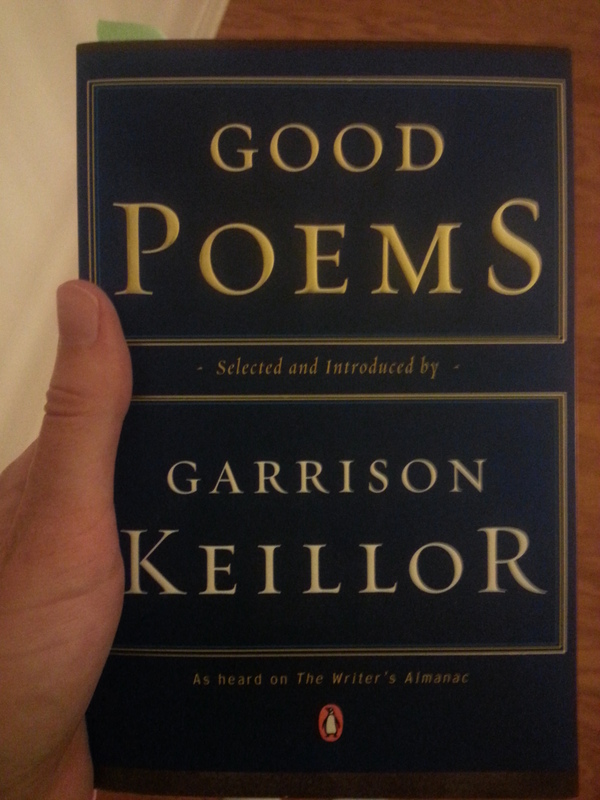 For this week’s challenge, I will be reading Good Poems, an anthology of poetry selected by Garrison Keillor. Next week, I’ll share my favorite poem from the collection, and I’d love to hear yours as well! What is your favorite poem by Robert Frost?